Winnsen Outdoor Kiosk is fully external, which can stand up to all weather conditions including direct rain and bright sunlight. It features functional styling and rugged durability combined in a Kiosk package that is both extremely affordable and unforgettably attractive. 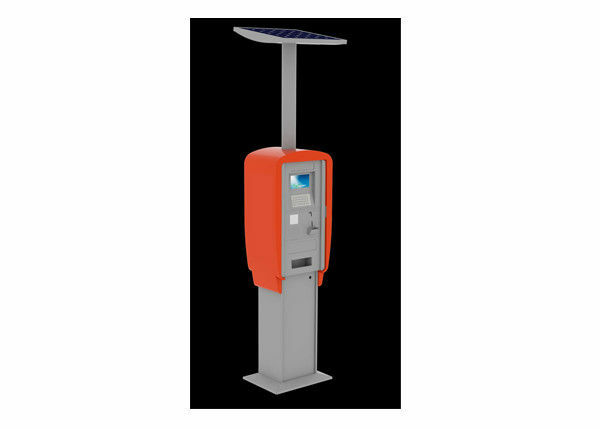 The result is a rugged, attractive Kiosk that can withstand a variety of environments ranging from 0F to 120F, along with heavy public use. Its brightness adjustable LCD screen is with an ambient light sensor to increase and decrease brightness when necessary to make it easy to read in the dark or when the sun is shining, it ensures showing excellent graphic effect all the time. Winnsen's specialized OEM service provide professional solution, and inhouse manufacturing supplys competitive cost. Each of Winnsen outdoor Kiosk is created based on customer's requirement, which area it is installed, how many hours it works every day... Water spray testing is processed on each outdoor Kiosk order. Winnsen deliver an outdoor Kiosk precisely meets your demand. Steel or Stainless Steel metal body with outdoor powder coating, with wedge anchor to secure Kiosk onto ground. Design and color can be customized. Other optional components that can be integrated into Self-Service Water Proof Outdoor Kiosk to meet with your special requests. 2) Thermal receipt printer with auto cut, 80mm paper width. 4) Stainless steel encrypted pin pad, PCI certified. 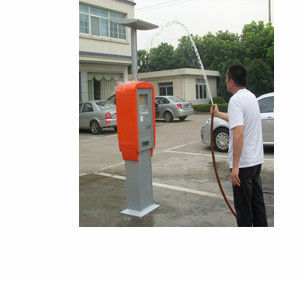 This Steel Cabinet Self-Service Weather Proof Touch Screen Parking Payment Kiosk is popular in many public places. • Hotel, Resorts, Business Building Center and etc.